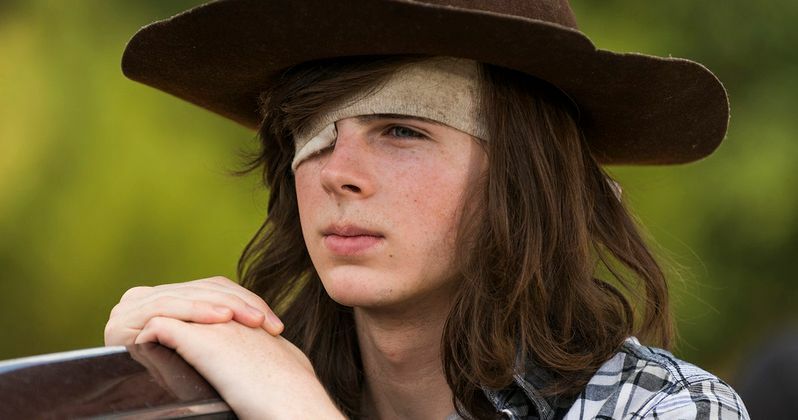 Chandler Riggs has lined up his next acting gig nearly a year after his departure from The Walking Dead. The 19-year-old star will appear in a multi-episode arc on ABC's series A Million Little Things. For the time being, Riggs is only on board for a single arc, but it could lead to more appearances down the road. More importantly, it gets a very talented young actor back in the game. A Million Little Things is in the middle of its first season on ABC and it recently enjoyed a nice ratings bump. The Boston-set series follows a group of friends who managed to bond under unexpected circumstances. Chandler Riggs will play a young man named PJ who Rome (Romany Malco) meets. Not unlike Rome, PJ has had some dark days and their encounter proves to be a meaningful one for both parties. Riggs took to Twitter to share his excitement. Here's what he had to say about it. "Super excited to announce that i'll be joining A Million Little Things for a couple of episodes (and maybe more??)! the cast & crew is so incredible, and i absolutely love the series. i encourage everyone to check it out this thursday night on abc!!" AMC decided to kill off Chandler Riggs' character Carl Grimes on The Walking Dead, one of the biggest shows on all of television, last year. The move not only shocked fans, but it also shocked Riggs as well, who wasn't expected to leave the series at that time. Even his fictional post-apocalyptic father Andrew Lincoln, who portrays Rick Grimes on the series, expressed his distaste for the network's decision. Ever since Carl was killed off, Riggs has been out of work. But his cold streak is finally over. For Chandler Riggs, this ends a dark period in his otherwise bright young career. Riggs essentially grew up on the set of The Walking Dead, which was the biggest show on cable for almost the entire time he was on it. Despite that, he had a difficult time getting work. In another tweet from the set, Riggs expressed his gratitude for the new opportunity. "four days ago i was almost unemployed for a full year. right now i'm sitting on the set of season one of an incredible tv show for my first day of work. life changes really drastically really quickly"
The series was created by DJ Nash, who also serves as executive producer. The cast also includes David Giuntoli, Allison Miller, Christina Moses, Christina Ochoa, Grace Park, James Roday, Stephanie Szostak, Tristan Byon, Lizzy Greene and Ron Livingston. In addition to this new small screen role, Chandler Riggs also has two movies he's completed, Inherit The Viper and Only, which are both in post-production currently. A Million Little Things airs Thursdays on ABC. This news was first reported by TV Line.